The site is just outside the town on the Carlow Road R448. 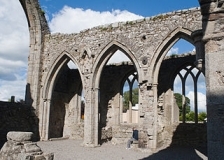 Remains: the church is complete with a large transept chapel and an unusual tower; the three small chapels within the transept chapel are much admired. 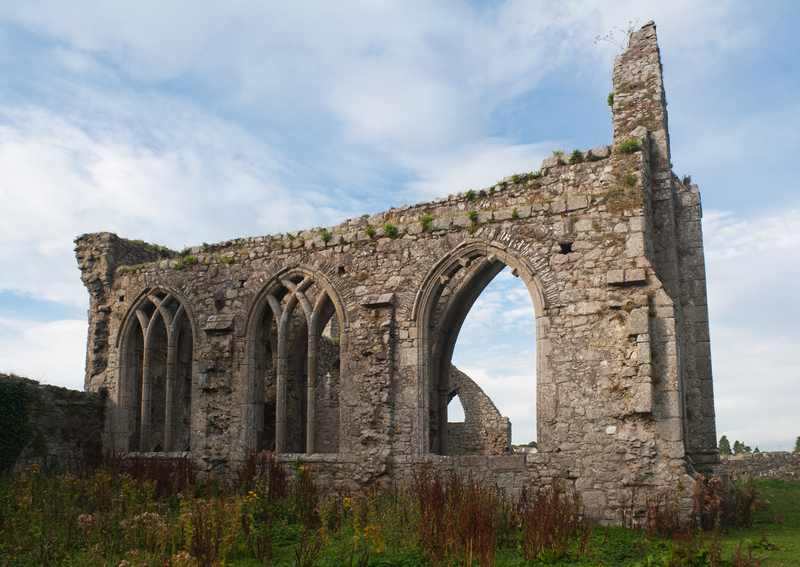 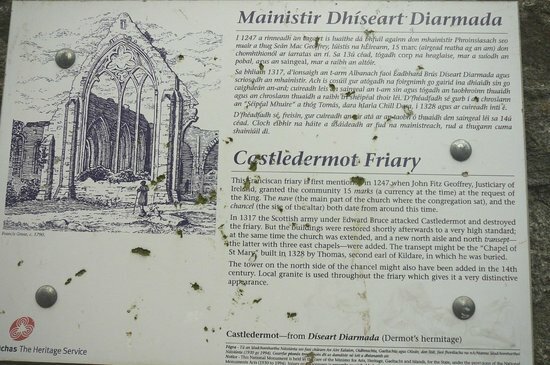 Certainly founded before 1247, Castledermot friary was practically re-founded by Thomas, Lord of Ossory when he gave a substantial building grant in 1302. 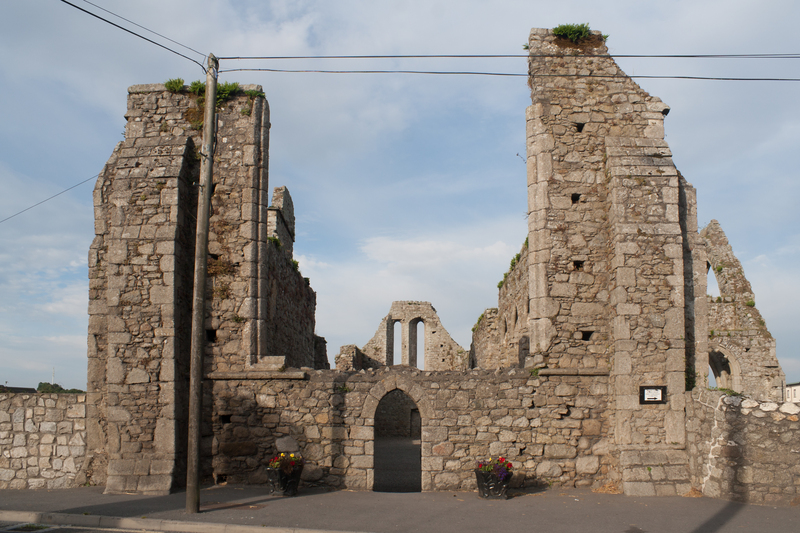 Situated at the edge of the Pale, it was still in Conventual hands when it was one of the friaries to be supressed in 1540. 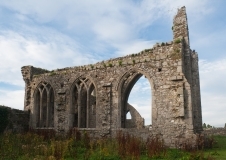 The Observant friars did not return to the area until 1639, and were soon expelled by the Cromwellians. 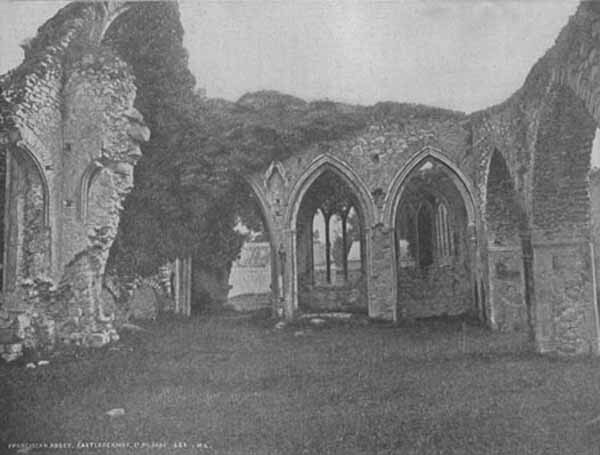 Bank in 1661, the friars maintained a presence in the area until the middle of the eighteenth century.